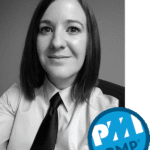 Congratulations Megan, our Project Management Professional! As members of the greater Springfield business community we contribute our knowledge and expertise to businesses of all sizes. Recognizing the growing importance of mobile and web applications for small and medium size businesses, we are especially focused on helping local businesses and start-ups get the most out of their resources by developing sophisticated applications to help grow, maintain & improve your business operations. Copyright © 2019 · The App Pros. All Rights Reserved.